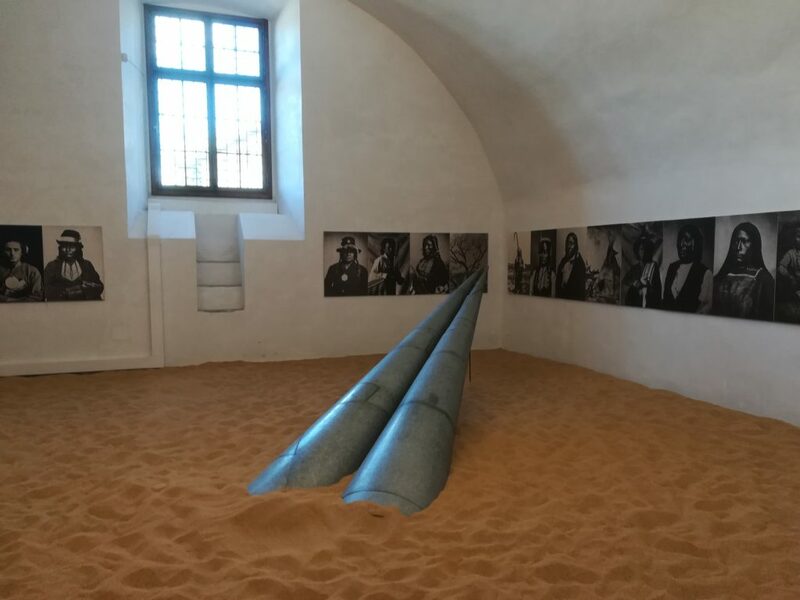 The gates of the Fortress di Belvedere opened on June 2, for the 5th year in a row, with yet another astonishing contemporary art exhibition. This year featuring the sculptures and drawings by Eliseo Mattiacci. 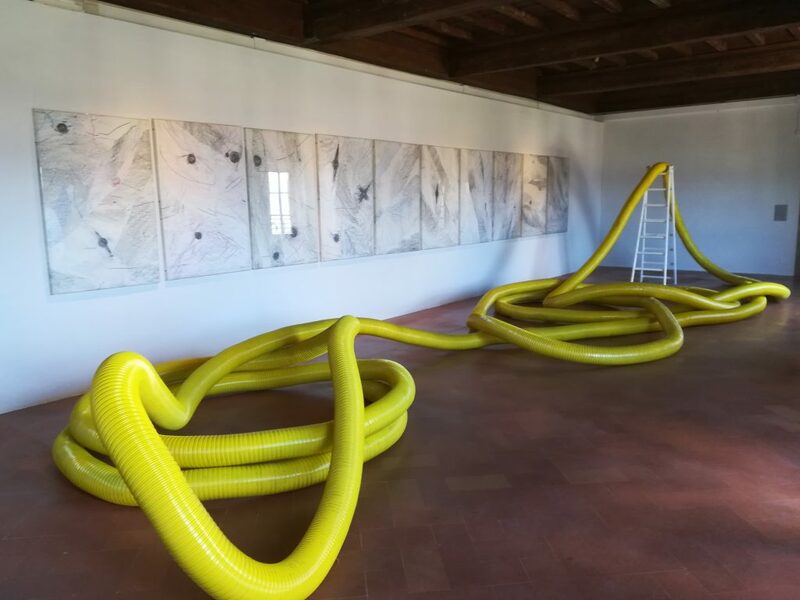 Set both inside the bold and newly restored interiors of the villa as well as outside in the well-maintained gardens, guests will have the possibility to appreciate this historical site and over 60 pieces of artwork by Mattiacci. Even if you are not a fan of contemporary art, the views alone from this position are well worth the trek up the hill, in these somewhat sweltering temps. 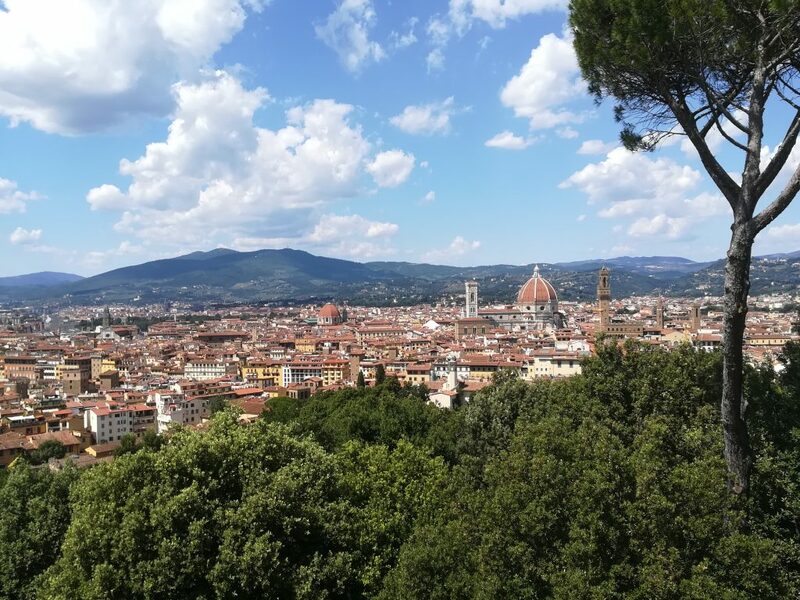 Catch the sun as it illuminates the skyline of Florence where you can see from Fiesole to the airport and all the monuments in between. The interior of the villa is divided into two areas: the rooms dedicated to the exhibition and an outdoor lounge for refreshment, tranquility and an opportunity to contemplate the message from the artist. On the ground floor, the guest is presented with two rooms, each lined with photos of American Indians and soft sand floor. You are invited to venture in and explore the black and white images – where you will find a few truly unexpected surprises. On the upper floors, there are many of his drawings and sculptures, for example, the important historical work the Tubo (Tube) (1967) and an arrangement of symbols with a barking dog soundtrack. 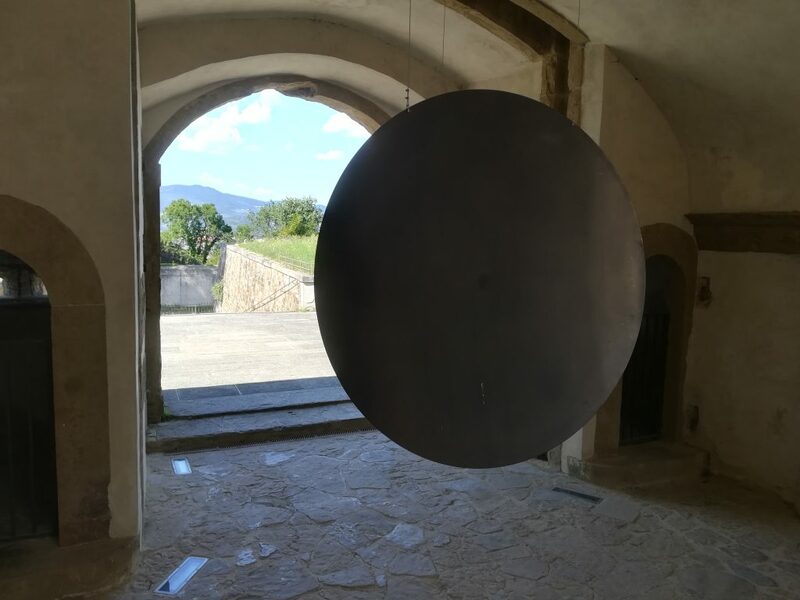 As you explore the gardens and layers that surround the villa within the fortress walls, your attention will be drawn to the large works of corten steel of cosmic astronomical inspiration which have been likened to totem poles. Their lofty heights draw the viewer’s attention towards the sky to contemplate one of Mattiacci’s favorite subjects while offering windows with which to view and organize one’s surroundings. Summer opens so many special places in Florence which are only available with either the “bella stagione” or special exhibitions. 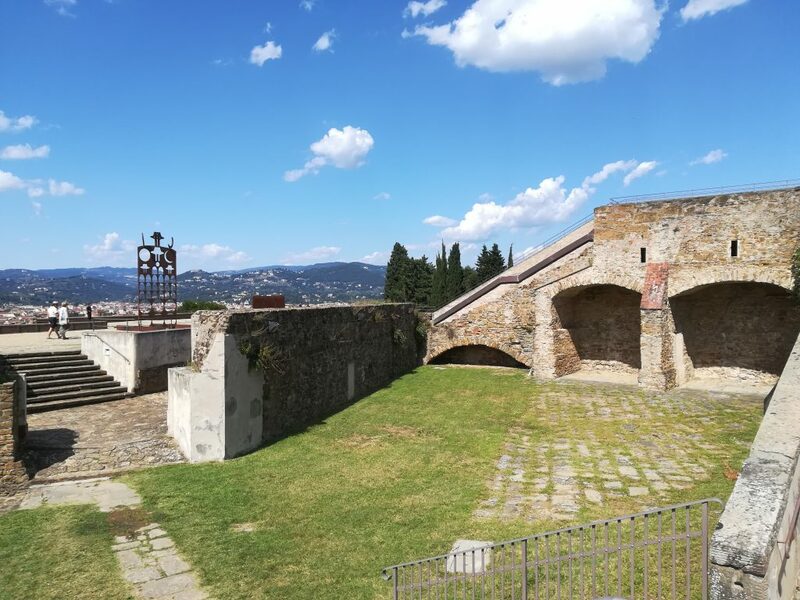 Forte di Belvedere is one of these places that are only accessible during special events, located on the southern hills of the city right next to the Villa and Giardini Bardini. Situated on the tallest hill in the Boboli Gardens, it truly commands an impressive visual of the city and the Arno River below. Constructed between 1590 and 1595, the structure was designed and built by Bernardo Buontalenti by order of Grand Duke Ferdinando I de’ Medici.